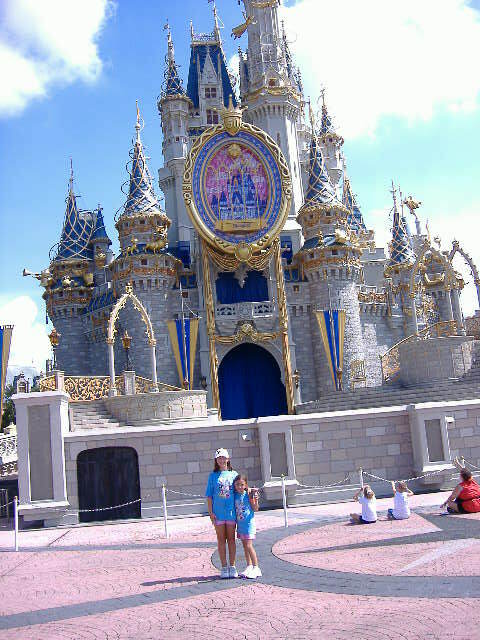 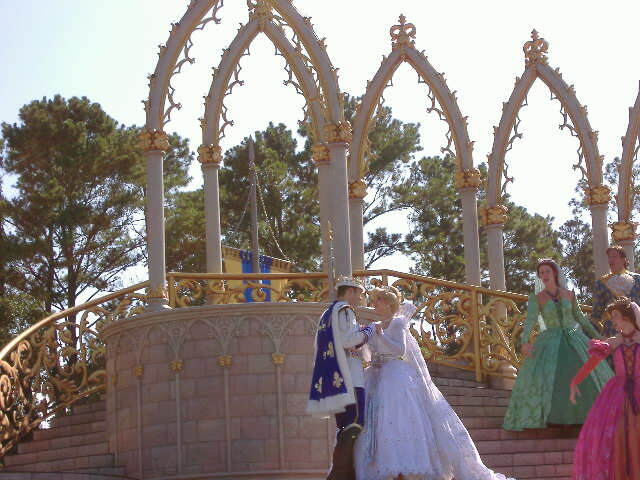 Watch as Cinderella finally has her coronation ceremony and officially becomes a princess. 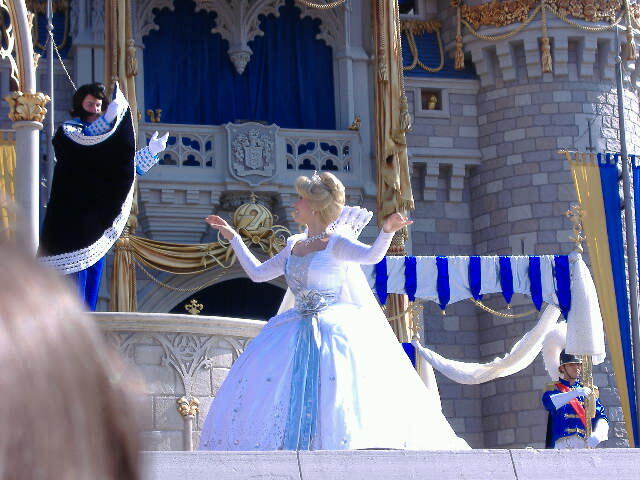 This live show on the stage at Cinderella's Castle includes other Disney Princesses as well. 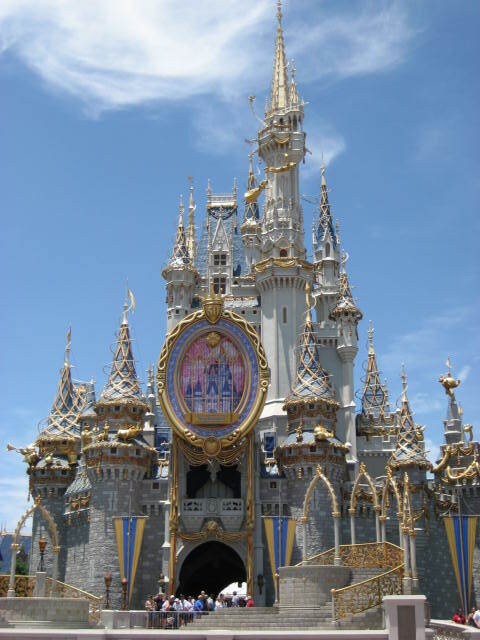 What could be more fitting to celebrate 50 years of Disney theme parks, than a gala fit for a queen at Cinderella's castle? 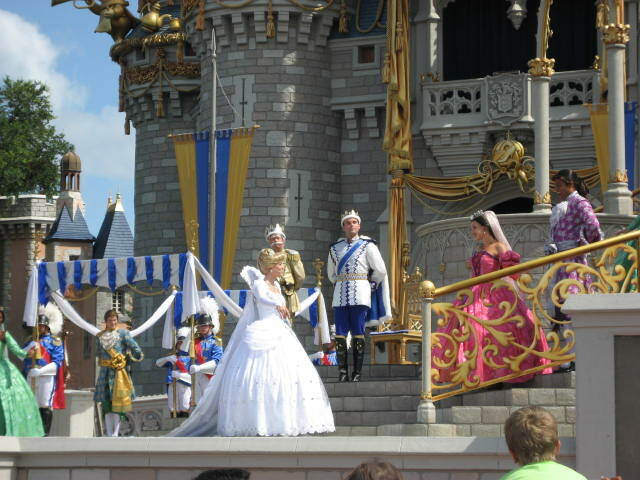 This glittering stage show dazzles guests with "Cinderellabration" — a "happily ever after" tale of Cinderella and Prince Charming that is probably one of the best shows I've ever seen at Disney World. 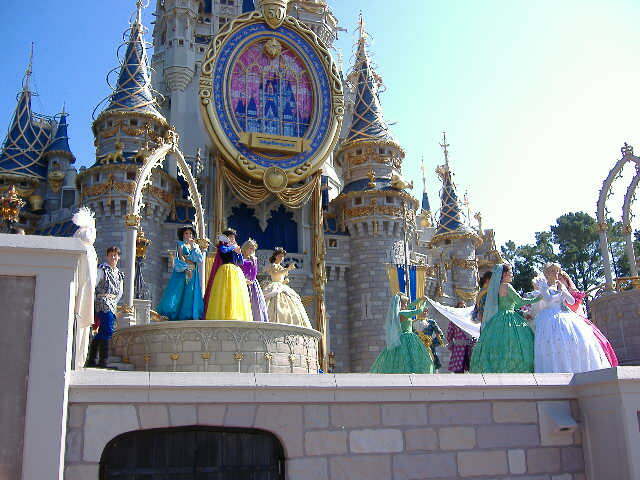 Cinderella is crowned a princess during the sparkling coronation pageant attended by Disney's most beloved princesses — Snow White, Princess Aurora, Belle and Princess Jasmine. 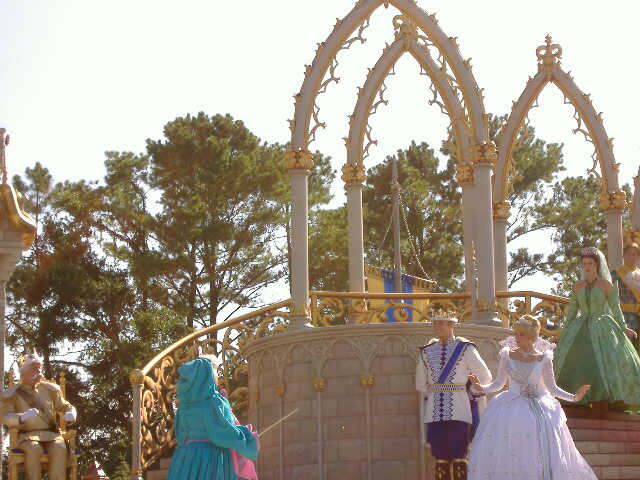 Of course, her Fairy Godmother is on hand to oversee the event. 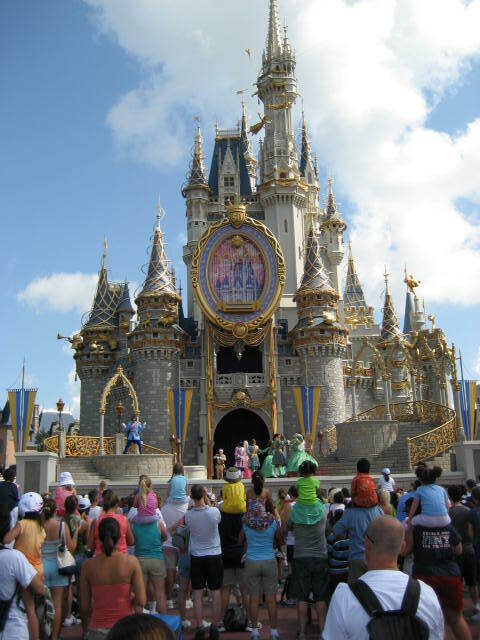 The Magic Kingdom production takes center stage in front of the towering spires of Cinderella Castle, the majestic icon of Walt Disney World Resort, and continues the rags-to-riches story of Cinderella after the events of Walt Disney's classic 1950 animated feature film. 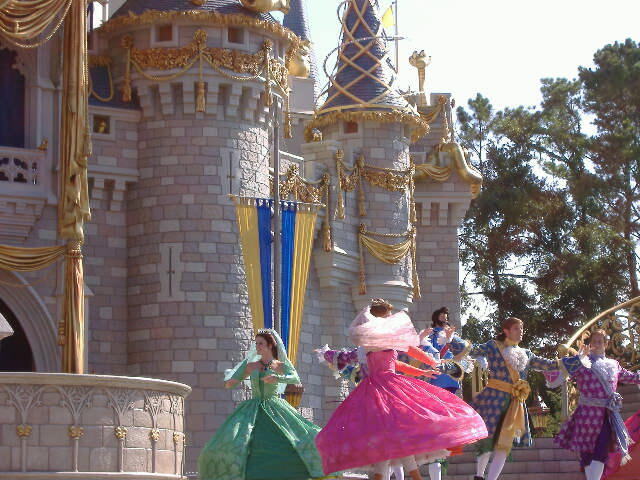 The show is filled with sparkling pageantry, luxurious costumes, romantic choreography and a musical score incorporating original compositions and classic Disney songs. 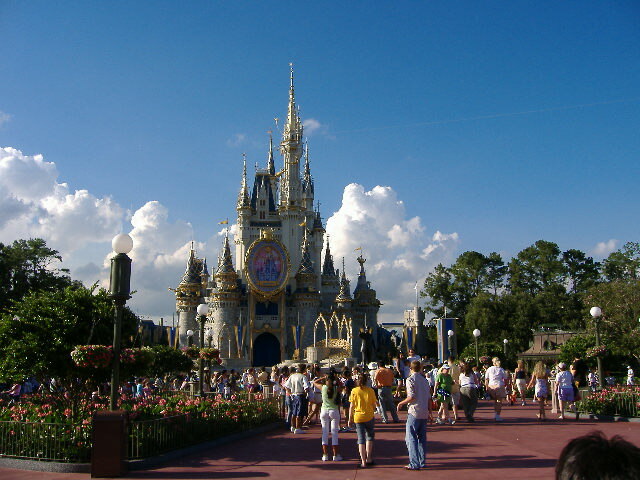 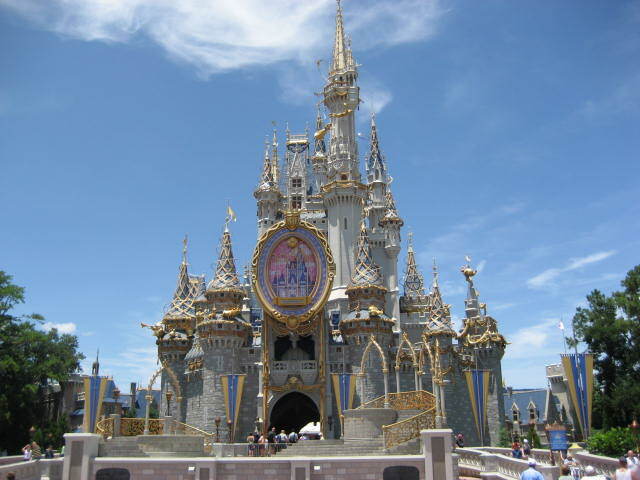 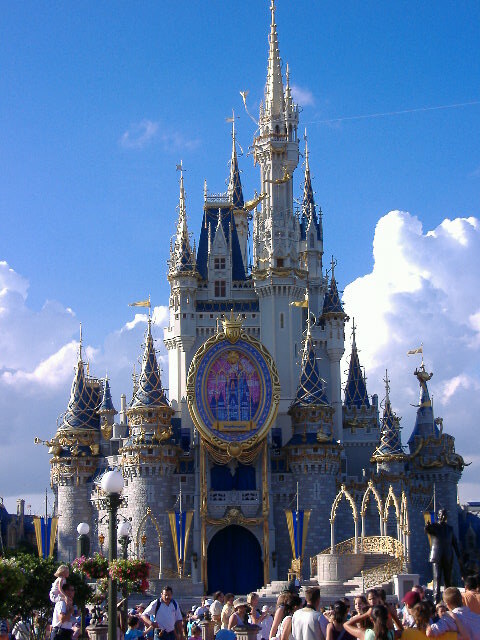 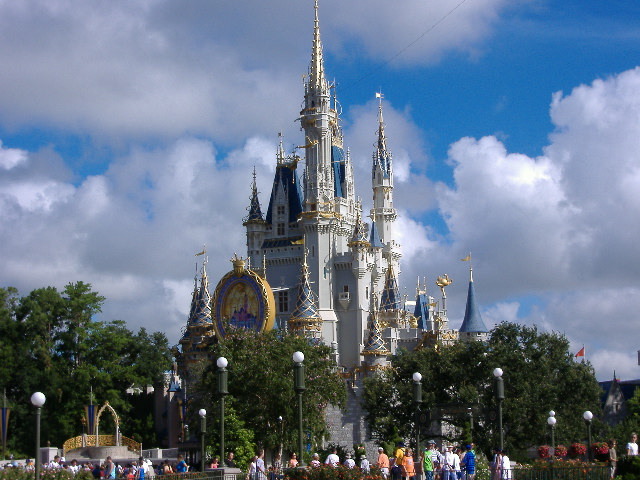 It is adapted from a popular production created for the 20th anniversary of Tokyo Disney Resort in 2003. 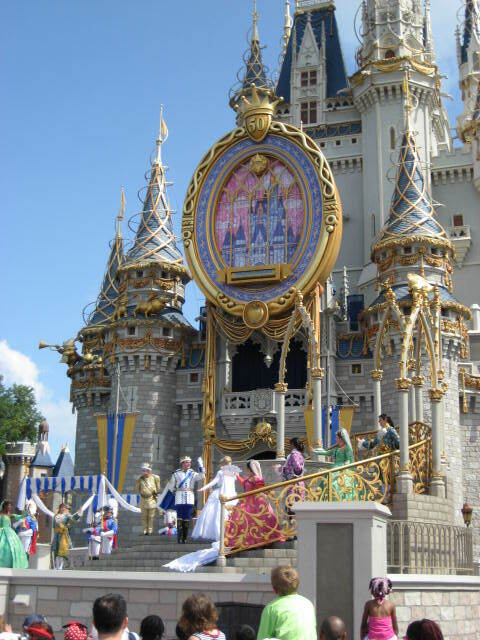 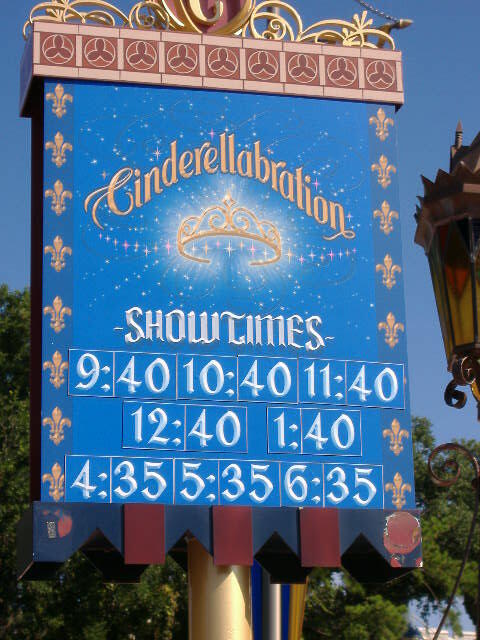 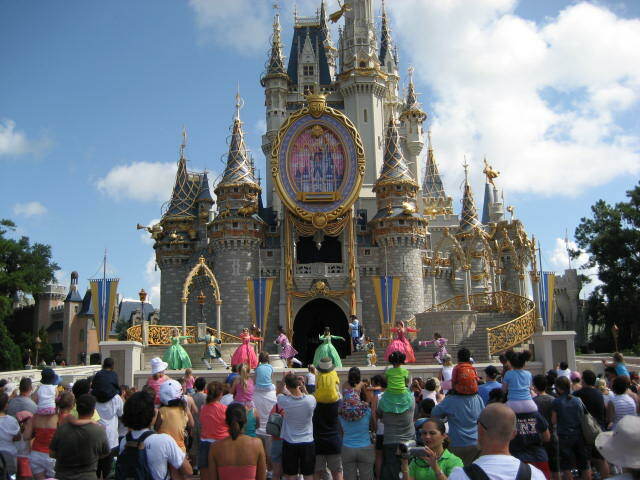 The lavish spectacle officially debuted May 5, 2005 as part of the "Happiest Celebration on Earth," a global salute to 50 years of magic at Disney destinations around the world. 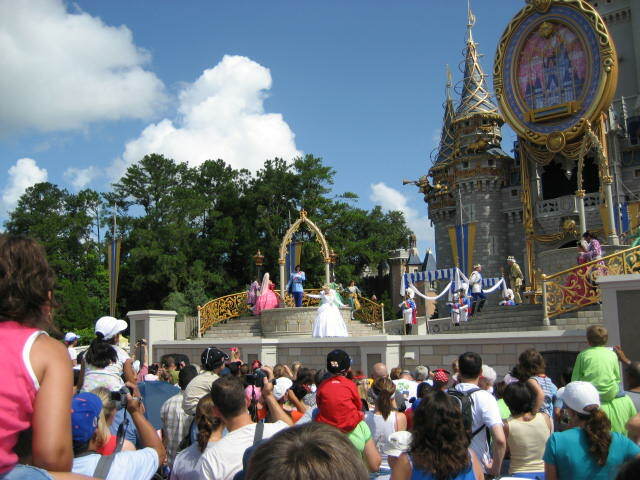 The enchanting spectacular will be staged several times daily at the Magic Kingdom during the 18-month "Happiest Celebration on Earth."